Honda Canada Inc. intends to bring to Canada Honda’s new battery-electric vehicle and plug-in hybrid vehicle, slated for introduction in 2012 in the U.S. market. Jerry Chenkin, executive vice president of Honda Canada Inc., says: “For years, Honda has taken a portfolio approach to researching and developing optimum solutions for fuel-efficient and low-emission vehicles by studying a wide range of technologies. “Assessment of plug-in hybrids and battery-electric vehicles is a next step in this approach that includes numerous other potential solutions we are researching, such as hydrogen fuel cell technology, clean diesel and advanced gasoline-electric hybrid systems, to name just a few. 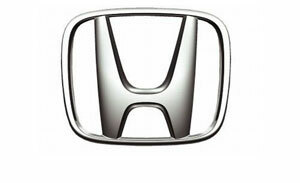 American Honda Motor Co. Inc., Torrance, California, announced this week that it would introduce new advanced environmental technology vehicles, including a battery-electric vehicle and a new plug-in hybrid vehicle, to the U.S. market in 2012.